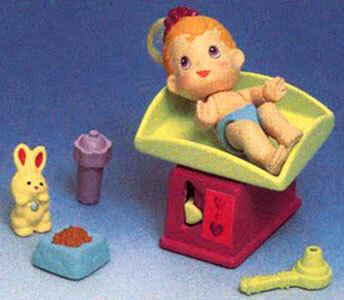 "With moveable limbs and a soft, squishy body, cute Sonny Angel has a wide-eyed stare and the smell of powder!" 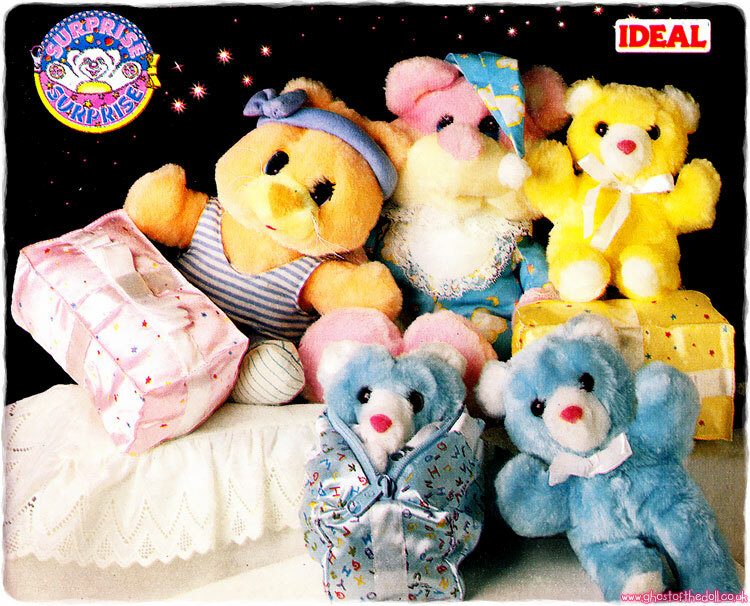 Sonny Angel began production in 2007 by Dreams Inc, a Japanese company, and are still being added to. 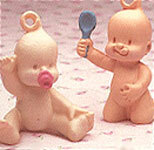 They are a series of Kewpie type boy dolls with angel wings made in an assortment of styles. 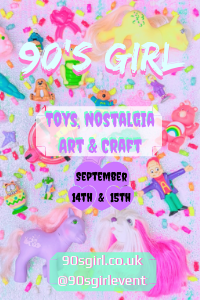 Images on this page thanks to official Dreams Inc. publicity material! QUICK LINKS> Find Sonny Angel on eBay.com , eBay.co.uk or Amazon.com ! "He may bring the happiness to you!" 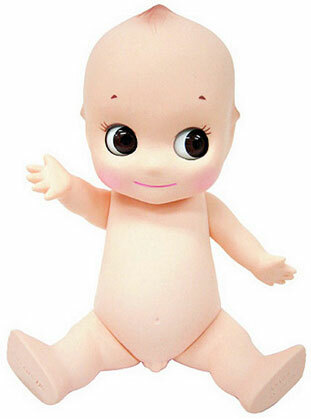 There was only the one doll produced in the original series. He had movable limbs and neck, was scented like face powder and also had movable eyes. He had a little pair of wings on his back and had boy bits too! He was sold in either a small plastic box or small plastic bottle. "Sonny Angel becomes a king!" There was one set of Crown dolls produced, which included twelve dolls plus a secret doll. They were about 8cm high, not including the extra height of the headgear, which was moulded on. 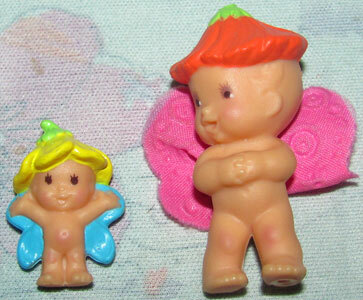 "Sonny Angel mini figure wearing cute fruit/vegetable headgear. Which fruit/vegetable you receive is unknown until you open the box!" There was one set of Fruit and one set of Vegetables produced, each set had twelve dolls in it plus a secret doll. They were about 8cm high, not including the extra height of the headgear, which was moulded on. I have no idea what the two secret dolls were. 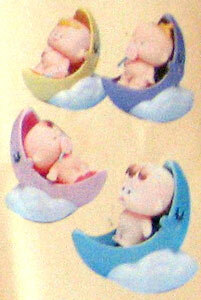 There were also some limited edition fruit and vegetable dolls produced as part of a mixed set (see lower down page for more details). I don't know the secret doll. "Pink your favourite sea animal! Loveable Sonny Angel wearing sea animal headdress." 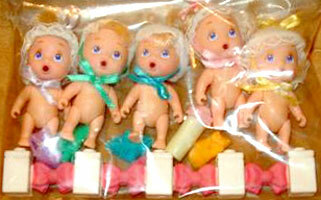 There was one set of Marine dolls produced, which included twelve dolls plus a secret doll. They were about 8cm high, not including the extra height of the headgear, which was moulded on. I don't know the secret doll looks. There are two sets of T-Shirt dolls produced, plus a few limited editions too. 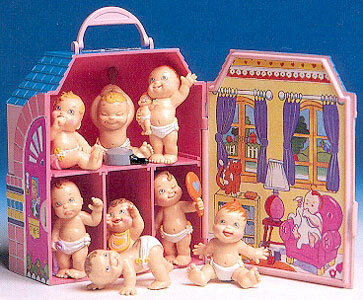 The first set included twelve dolls plus a secret doll. They were about 8cm high. 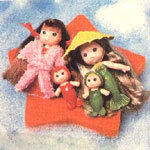 The second set included four dolls plus a secret doll. There are several sets of Christmas dolls. 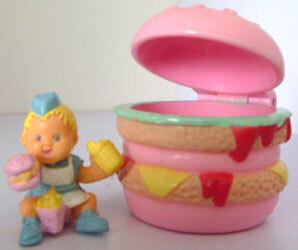 They are about 8cm high, not including any headgear. Santa Claus, Snow Man & Reindeer Three Secret Dolls! There are eight New Year dolls so far. They are about 8cm high, not including any headgear. 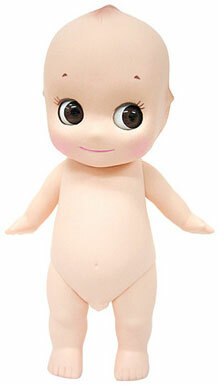 There are several limited edition dolls, but I'm unsure how/where they were sold. They are about 8cm high, not including any headgear.